- This bailey brothers holiday window art will add character & nostalgia to your holiday decor. 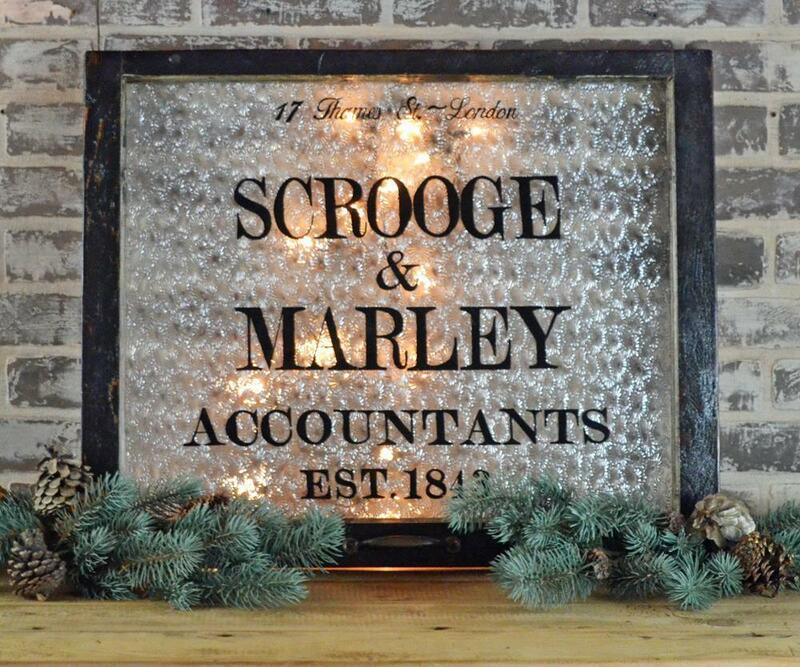 - Inspired by the classic movie, It’s a Wonderful Life, this artwork is made from patterned glass, a vintage window, and hardware. - This vinyl lettered version is inspired by our classic hand painted versions – at a new lower price point! - Size ranges from 22-32″ x 24-28″. All are roughly the same area in square inches, but some are more square and some horizontal.